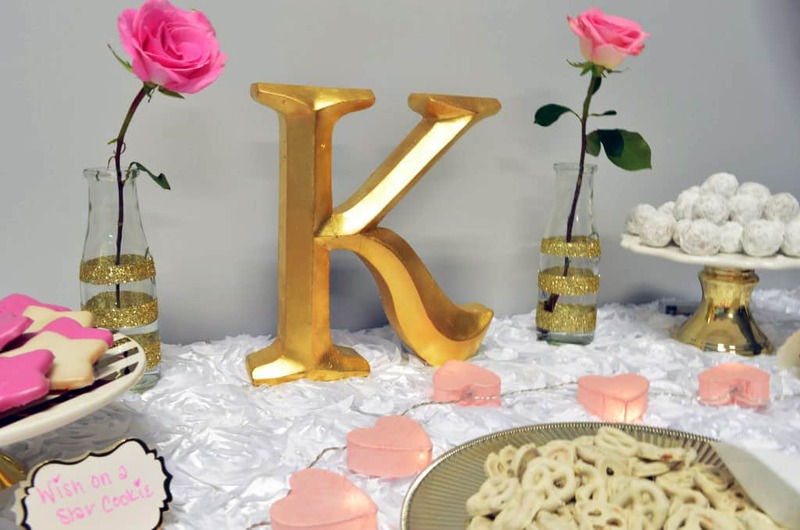 This stunning gold K is from my local Hobby Lobby craft store, purchased for 50 percent off! One important tip, mix up the golds, they do not all have to match. 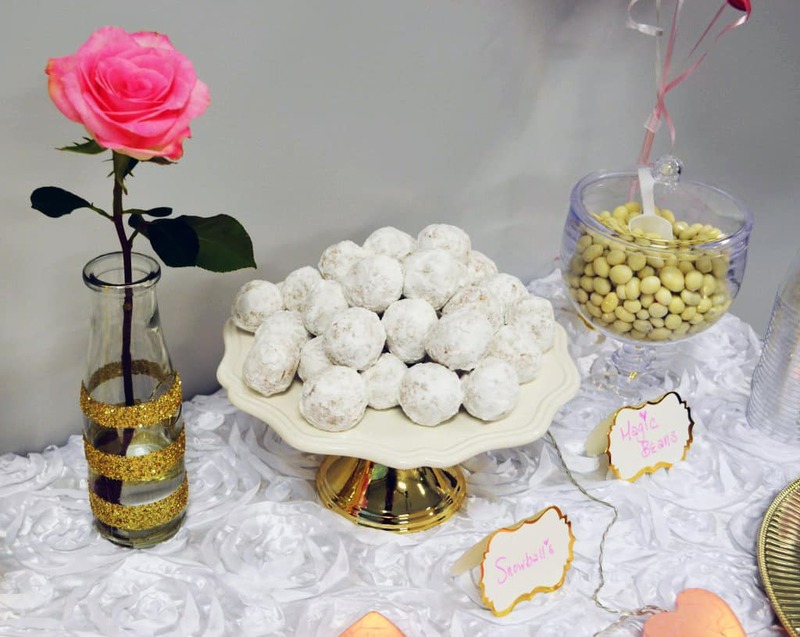 Here we have powdered sugar donuts, to make them a bit magical I purchased place cards from Hobby Lobby and named them Snowballs. Of course you can buy Donuts anywhere, but I have to rave about a little donut shop here in Illinois, Country Donuts. Lovely little place, delicious and fresh made donuts. 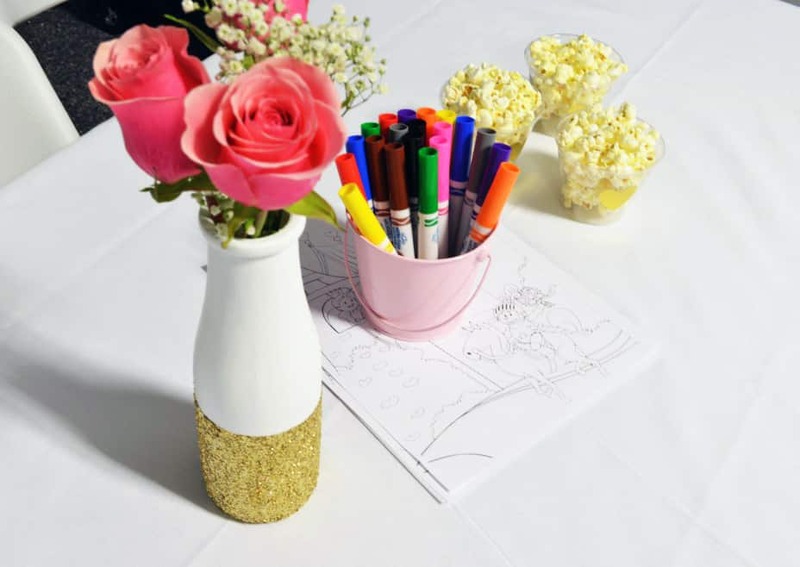 We placed out Princess themed coloring pages and washable markers for the kids. I was a little bummed because I had planned on ordering ones from Etsy that would be personalized with Katia’s name, but I didn’t know the shop was closed for the weekend and it was my fault. Thank gosh for googling free printable coloring pages and finding what I needed right before the party started! 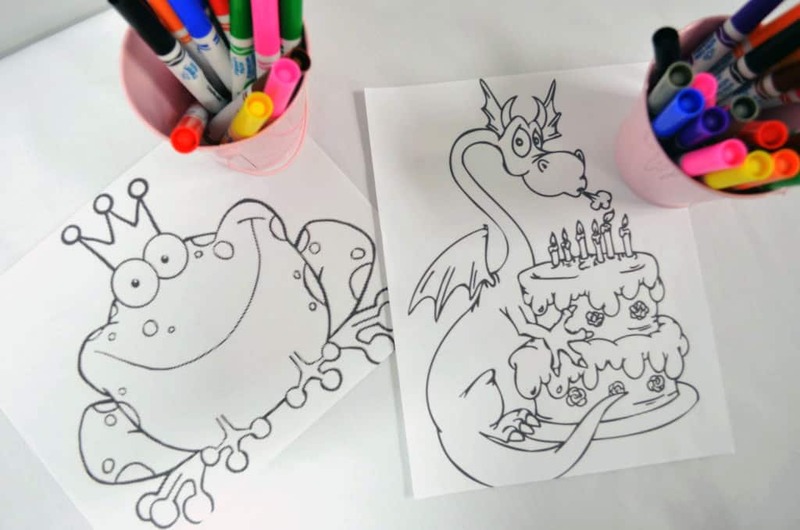 There are tons of different personalized coloring page themes for any party you can order on Etsy, just make sure to order in time for the party. Probably going to become known as the lady who serves popcorn in cups at every party. I’m just in love with the simplicity of grabbing my Cuisinart air popper, mixing a little salt and butter to the popcorn then having individual serving cups to place out. This is the perfect way for kids and adults to enjoy a light snack. The Olaf Popcorn Cups I made for a party in December were my inspiration to make popcorn cups again. 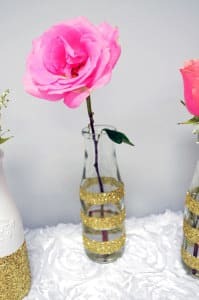 For these cups I purchased gold heart stickers from Hobby Lobby, they looked adorable and everyone enjoyed the fun snack. OK… Now I have to share!!! 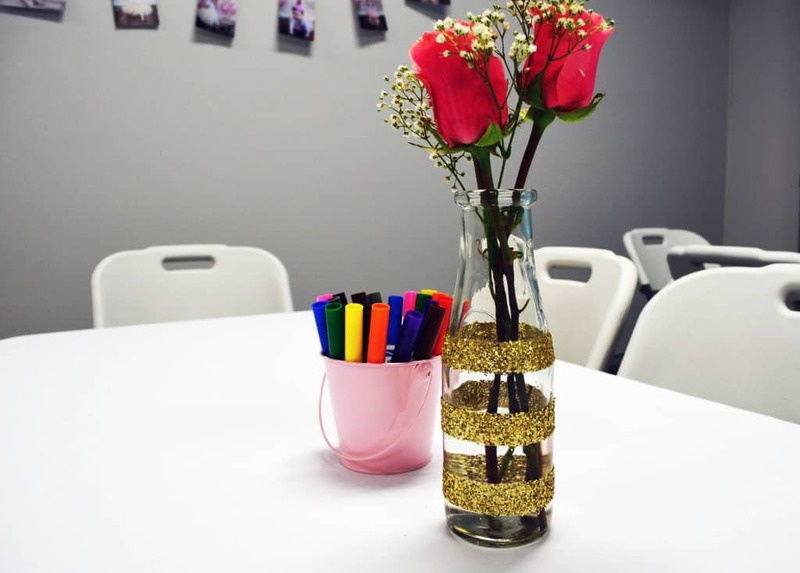 How obsessed I am with these DIY Gold Glittered Vases I made for the tables. This was truly my favorite part about the whole party set up and I will definitely be using these over and over again. Click on the link here for full instructions. Words can not describe how impressed I was the morning I walked down stairs to see the castle my husband drew on our Chalkboard wall. Upon my request he got out his headphones, beer, chalk and a ladder then four hours later he had created this master piece. A Princess party is just not complete with out her very own castle right?! We did splurge and have professional photos done for her special day. 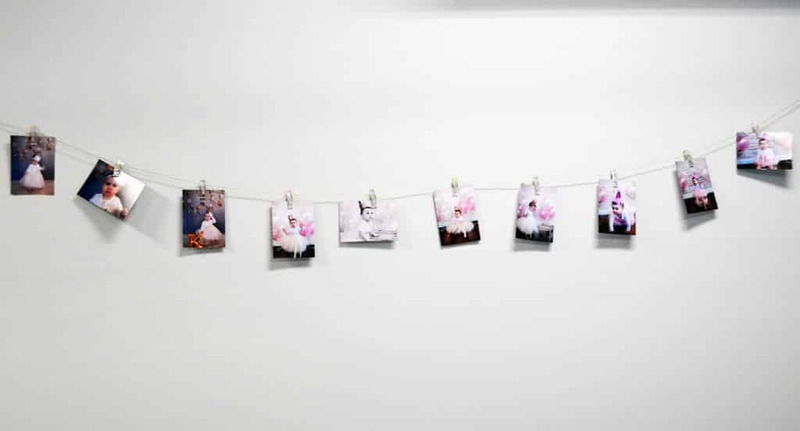 Our photographer Jenifer @ www.jennifermariephotography.net is amazing! Capturing the most beautiful photos despite a defiant little girl who wouldn’t smile that morning and just wanted to take off the photo set. This Woman is talented!!! 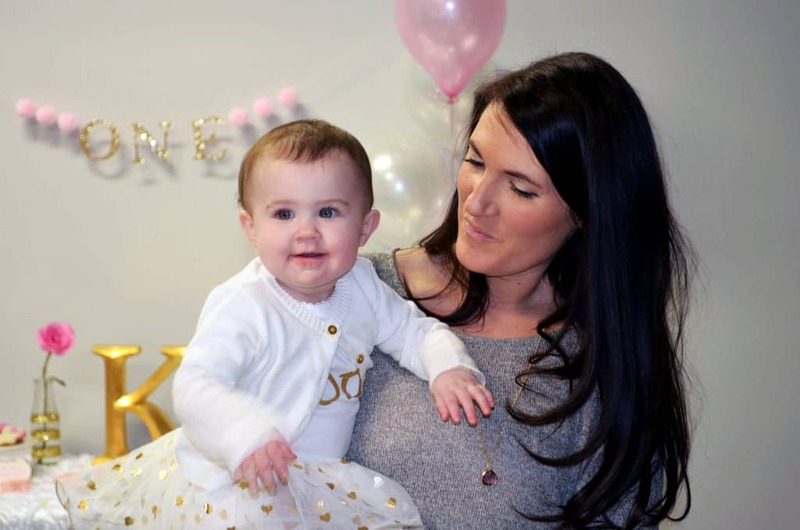 I mean…WOW… those eyes, cheeks and of course that gorgeous princess crown on top made this picture perfect. Let me talk about this Smash cake for a minute… Thank you Whole Foods Market for making this adorable little cake. It was perfection of ombre, pink and white that went beautifully with these gold candles on top. The main reason I loved this cake and Whole Foods bakery so much is all their dyes are fruit/vegetable based. How they achieve such beautiful colors with natural dye proves that we need to stop using the unnatural stuff all together! For the guests we had cupcakes with white frosting and pink sprinkles. I ordered gold star topper on Etsy and totally forgot to take a photo for you all, my apologies, the cupcakes were simplisticly amazing! After Christmas I found clearanced gold and white tissue paper at Hobby Lobby, SCORE! 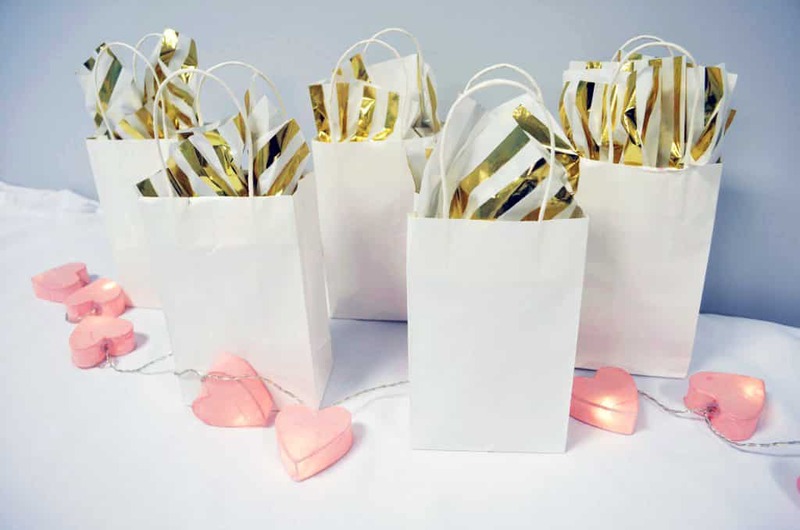 Used plane white bags, this way each bag was party themed and gender neutral. I did use a light pink marker for everyone’s names on the back. Sparklings French Berry Juice from Trader Joe’s and named it Berry Princess Juice for the day. Shortbread cookies ordered from Whole Foods. The bakery actually let’s you bring in any size shape cookie cutter if desired. There cookie cutter star was quite large so I brought my own from my huge Wilton 101pc Cookie Cutter Set. Called them Wish on a Star Cookies. The white yogurt covered raisins from Trader Joe’s were called Magic Beans. And we had white yogurt covered pretzels from Trader Joe’s that were left unnamed. Do you see my last favorite detail?…The elegant heart light string! My local Target just placed out their Valentines Day decorations, better nab this beauty before the holiday season is over. 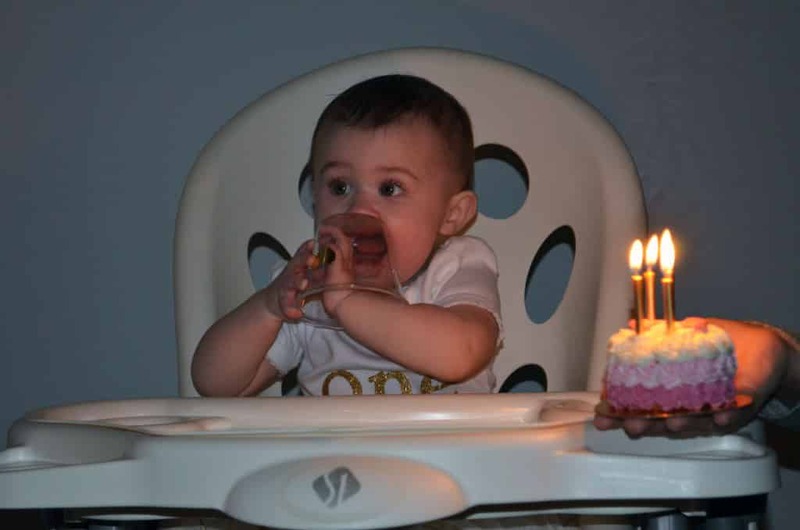 The Last First Birthday was a success! For the rest of my life I will remember this day as perfection, we ended it with a dance party in the garage. Maxwell was in good health the entire day, Katia was all smiles and playful. On this day I was more blessed than I could have imagined, not because of the things, but the smiles on my babies faces. 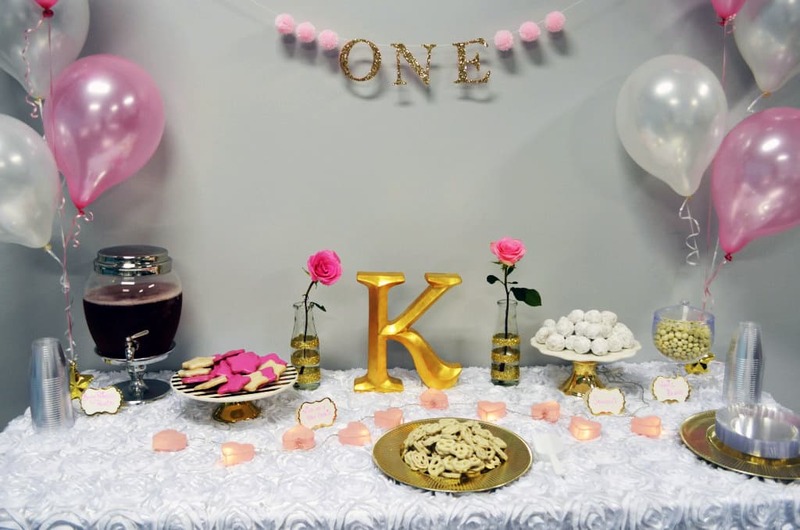 Hope you love all the ideas for a Gold Pink and White Princess Party!